The ProTM C7200sx Series, are Ricoh's latest product offerings to enable your business to stand out in the crowd and be able to grow and expand your business opportunities. These high speed, five colour presses deliver outstanding image quality and productive performace at an affordable price. 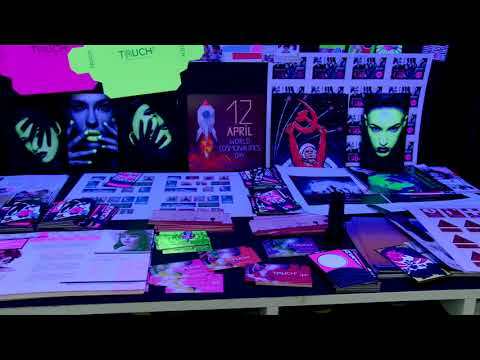 With the addition of the 5th colour station, you can add extra impact to your print, whether adding a clear varnish to accenutate designs, printing white directly onto coloured media, invisible red can be used for entry level security applications and neon yellow and neon pink can create greater impact to the print and extend the colour gamut. 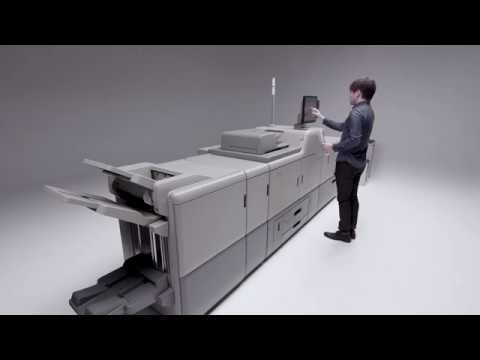 The Pro TMC7200sx Series, are Ricoh's latest product offerings to enable your business to stand out in the crowd and be able to grow and expand your print opportunitues. These high speed, five colour presses deliver outstanding image quality and productive performace at an affordable price. With the addition of the 5th colour station, you can add extra impact to your print, whether adding a clear varnish to accenutate designs, printing white directly onto coloured media, invisible red can be used for entry level security applications and neon yellow and neon pink can create greater impact to the print and extend the colour gamut, the range of applications in limited only by imagination. The Pro™ C7200 series of digital sheet fed colour presses for graphic arts and enterprise print applications. An absolute showcase for the creativity now possible with the five-colour unit on the Pro C7100 and now the Pro C7200, assuring that the extra value is met by extra revenue. See the Power of Colour with Ricoh’s latest colour sheet fed presses. 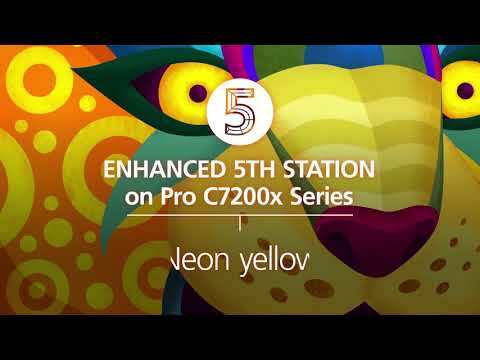 The five colour Pro C7200x Series and four colour Pro C7200 Series offer new worlds of eye-popping colour and outstanding media flexibility for an incredible range of application possibilities. Ricoh continues to push the boundaries of what is possible, and we are about to bring you some new works of art. Your Memory Keeper needed a digital colour press that delivers outstanding print quality and that could be integrated into its existing web to print process.